SMPlayer Download For lovers of audio and video players on the computer, this program is very interesting because it has an excellent interface. It is free,it is in Spanish (and in more than fifteen languages) and has a size of 2.2 MB. 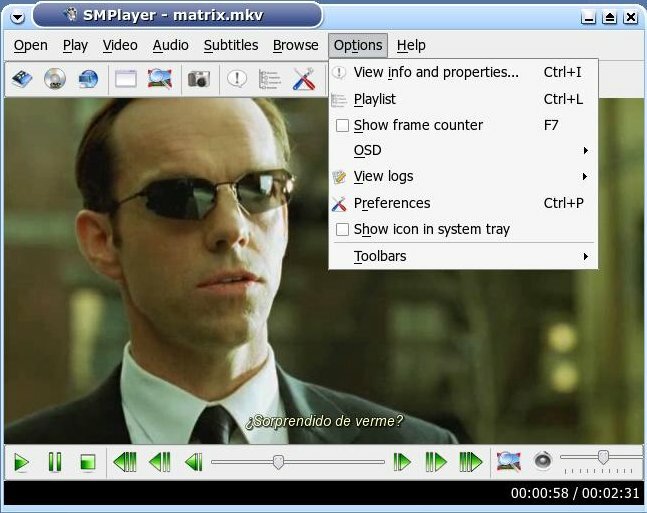 SMPlayer supports most of the audio and video formats,such as 3GP, AC3, DIVX, DVR-MS, ISO, MP3, MP4, MPEG, NSV, OGM, TS, VCD, VOB, WAV and WMA formats. 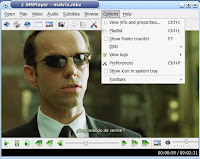 It has a graphical interface more than good, multiple options, support for filters and the other functions that had the previous version, Mplayer. The most outstanding feature is that it allows you to resume playback at the exact moment where we paused the last time, with the subtitle, audios and volume. It offers a high level of configuration,especially with the subtitles. It includes a video equalizer,to adjust brightness, contrast, saturation, etc,and playback at different speeds.